407 BBQ will open in its new location on Friday at 11 a.m., according to the restaurant’s Facebook page. The popular barbecue spot opened in October 2016 in a small food trailer with a handful of outdoor picnic tables in Corral City (now called Draper), on FM 407 just west of I-35W. The restaurant expanded to a small building, but it has remained “in a constant state of growth,” according to the restaurant’s website. 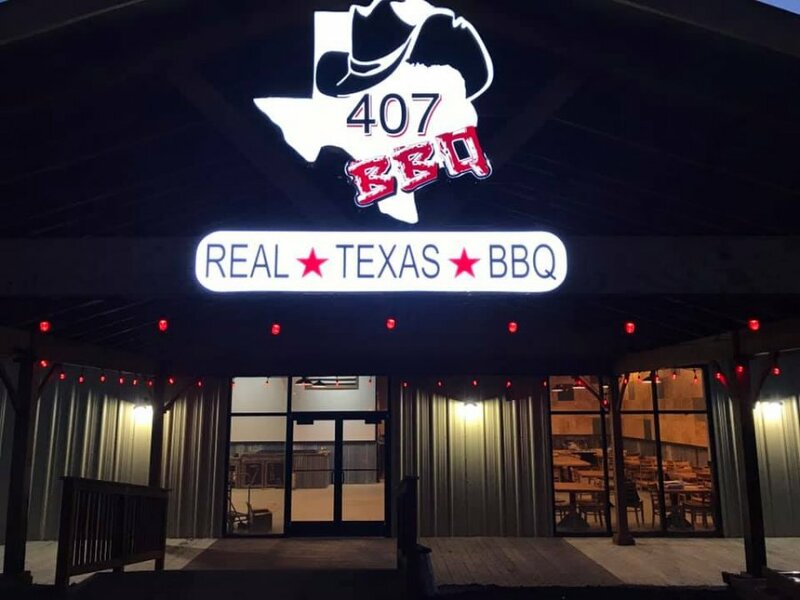 407 BBQ has now moved less than a mile east into a larger, 4,000-square-foot “full size restaurant” in front of 407 Gun Club, located on FM 407 east of I-35W. The old location closed at the end of the year and the restaurant has been since transitioning to the new location, 831 FM 407 West.